It's hard to describe how much of a connection I felt with Nicole + Bryan as I got to know such wonderful people... I miss them so much now that their day is over, but luckily, have these photos to share and relive each and every adorable moment, expression and glance! Their love is so genuine and gentle, honest and playful... throughout their engagement and wedding day, it was so obvious how in love they are and perfect for each other!! We chatted about our love for Charm City during our first meeting, laughed our way along the waterfront during their engagement photos (see their engagement feature on United with Love as well as their AVAM wedding day that was featured!) and made the most of their incredibly romantic and elegant wedding day at the American Visionary Art Museum - one of my FAVORITE places in Baltimore! 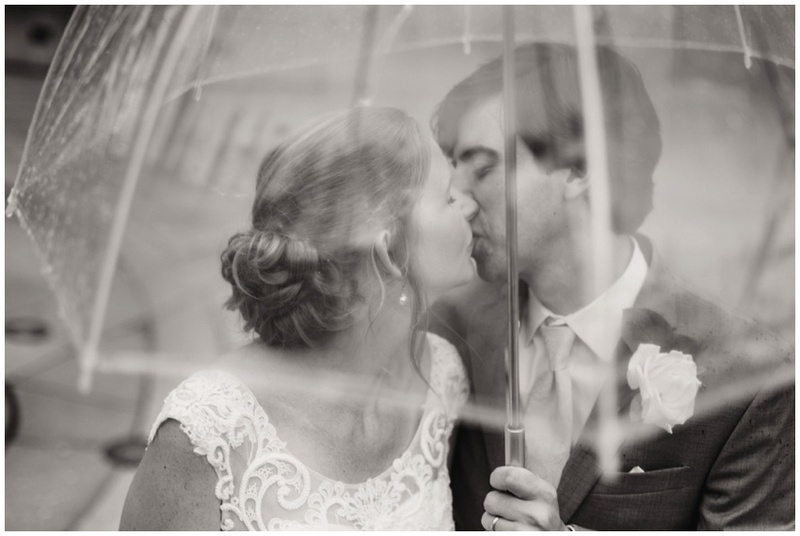 Never let a drizzly day get you down... these moments go to show you how much fun umbrellas and diffused light can be! but first... I'm stilllllllll SWOONING over Nicole's details! These gifts from Bryan were so thoughtful and classic! My color happy heart loved how their drinks matched their Le Rose robes! Bryan and his groomsmen were so fun to capture - they couldn't stop laughing and telling jokes but yet looked so perfectly dapper while doing so! The definition of the most fun, vibrant, playful, iconic and unique wedding venue in Baltimore! AVAM never disappoints!!! This may be one of my favorites of the day... absolutely filled with pure joy!!! I loved how perfectly Nicole chose bridesmaid dresses that coordinated with the American Visionary Art Museum's mosaic colors!! And then her sister/MOH's dress being patterned yet in the same color family - so fun, unique and a dress that can be worn again...? win, Win, WIN! We made sure to have time to sneak upstairs without guests seeing us before the ceremony, to capture more romantic portraits (ps - there can never be enough if you ask me!)... the catwalk of the AVAM has amazing light that pours through the small window openings! I love seeing the unique angles my second shooter captures while I'm down on the ground and in the ceremony action! How many couples can say their ceremony includes a fluffy pink poodle named Fifi, a hot air balloon and an elephant (can you spot them all below?)! I can't get over how GORGEOUS Nicole's cathedral veil is!! She only wore it during the ceremony since it was drizzling outside during our portrait time... I just love how much more romantic it made this moment! I wanted to just bottle up Nicole's energy, smile, and incredible warmth...! The inside of the JVRC banquet room is such a special space - it doesn't need much decoration to make it shine! The warmth of the brick was highlighted with some simple uplighting and the exposed wood structure was the perfect backdrop for their elegant ivory and light blue hydrangea tablescapes. The speeches were so heartfelt and heartwarming, I just loved seeing Nicole + Bryan reacting to her sister and his best friend's words! And how neat is that "guest book" idea to use a framed print of Baltimore?! 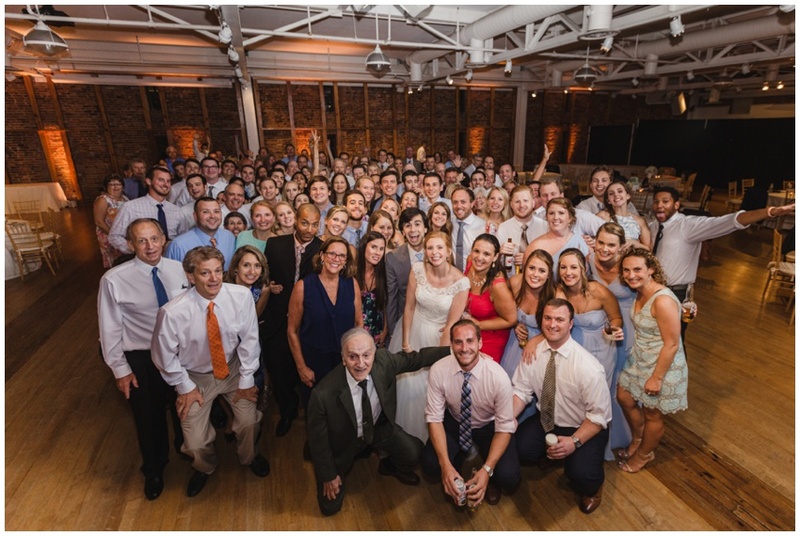 These fun and festive wedding guests were absolutely amazing; guest group selfies are my new favorite 'candid' reception moment to capture!! Ice cream, popsicles and the prettiest cake by WinniE's Bakery add up to one of my favorite cake cutting shots; Nicole + Bryan's faces say it all!! Group photos? I say the larger the better... let's do this, friends!! 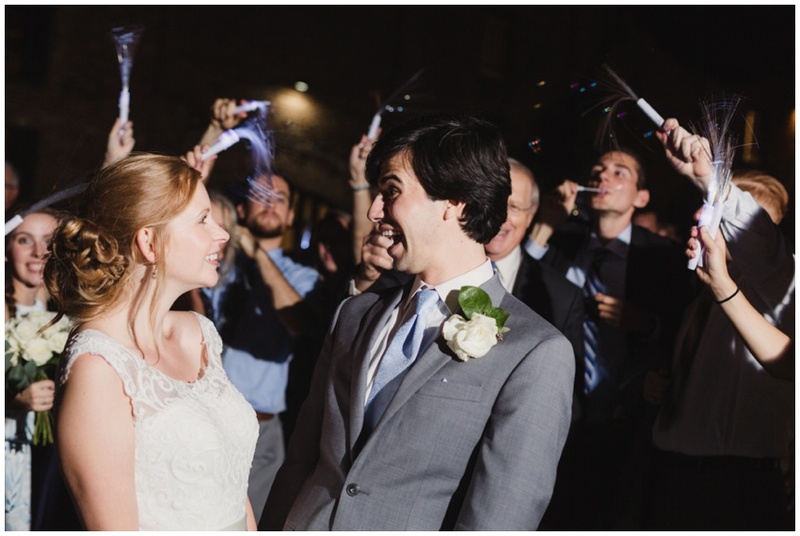 Rather than using sparklers for their exit, Nicole's mom planned an exit that used LED wands and allowed for such a fun and interactive way to send off the newlyweds! 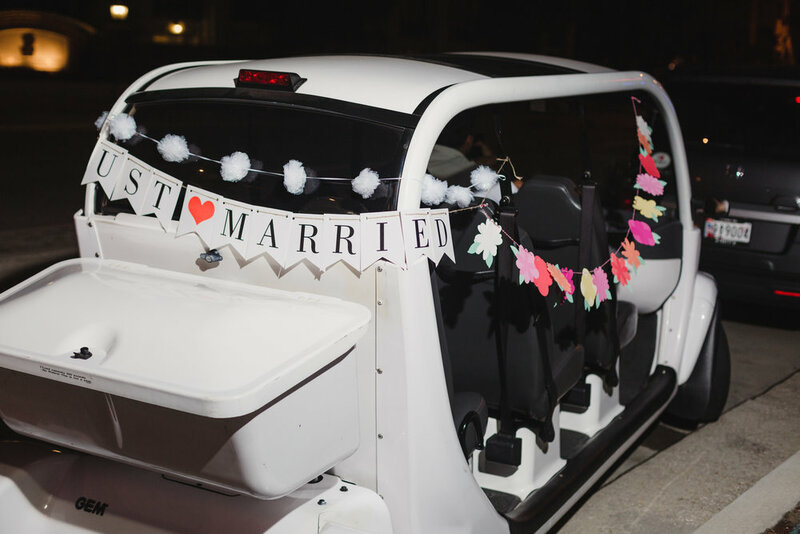 I loved this 'Charm Car' golf cart that brought us to our iconic night portrait locations!! Nicole + Bryan, we absolutely loved having the honor of capturing your day and getting to know you both throughout the process! I hope your honeymoon in Fiji was the relaxing treat you deserved!!! Here's to many, many more years of making charming memories together! Loved working with this amazing team!! Hope to do it again soon!